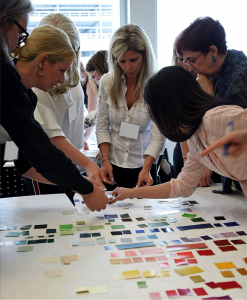 September brings color design professionals together for a 2020+ North American Color Forecast steering session. 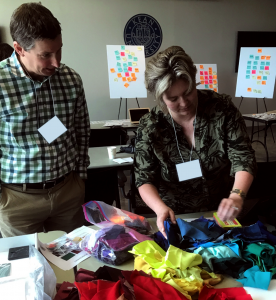 Peggy Van Allen will lead color forecasting facilitators through the process of steering the North American ChromaZone® reports into the final 16 colors and color stories for the 2020+ North American Forecast. A 20-year member of Color Marketing Group(CMG), Peggy sheds some light on the CMG steering process. Predicting the colors that will impact the global markets two years out may seem like a pretty daunting task unless you can tap the minds of color design professionals in those markets and hear their experienced impressions first-hand. If you are a member of Color Marketing Group (CMG) that is exactly what you have access to annually. In 2018, CMG members held 17 regional Color Forecasting events around the globe. 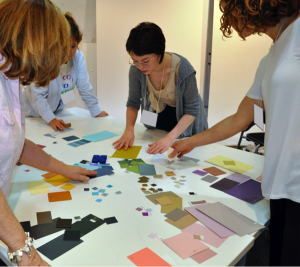 These color forecasting events culminate with a vast amount of color research and trend information. Then each region distills it down to 4 regional color forecasts during steering sessions. The resulting CMG World Color Forecast™ is then revealed at the International Summit in November. In-depth trend and color stories for each region are presented and members receive a written report, color cards, and fandecks of the 64 forecasted colors. What is the Value of the World Color Forecast™? While the final World Color Forecast product itself is so valuable, being involved in this gathering and culling of information gives members a much deeper understanding of the “why” behind the colors that are forecasted. There is an emphasis in the discussions as to how colors are evolving, and how and where the colors will be used in various industries. Who are Color Design Professionals? Since 1962, we have had a broad range of members who are designers, marketers, color scientists, consultants, educators, and artists. The various markets they represent; automotive, pigments, home, fashion, surfaces, visual communications, CMF, etc., allows them to bring a depth of color, material, and finish (CMF) information from their research that is unparalleled. Those who have not experienced our unique, collaborative, forecasting process have met it with skepticism. 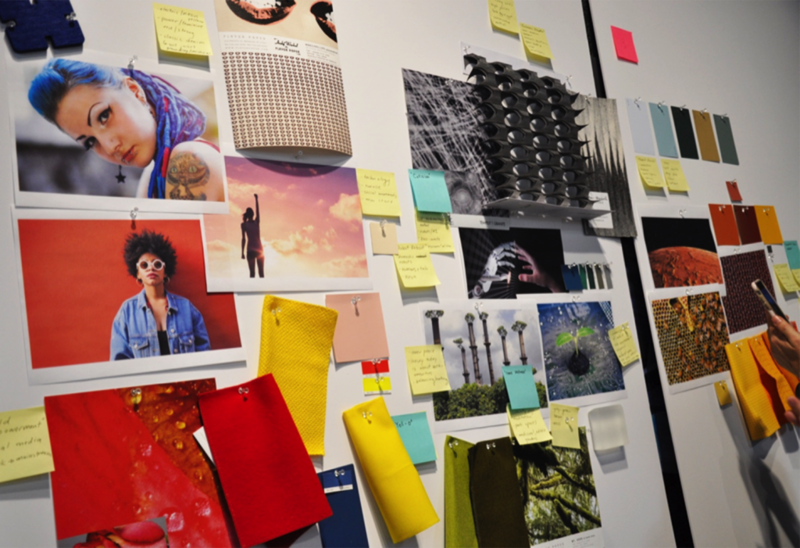 How is it possible that competitors can gather and share color forecasting research and knowledge in a mixed market environment? Simply, we all have a common goal and our PASSION FOR COLOR UNITES US!! In all seriousness, we are of course sensitive to the need for confidentiality. The reason our process works is because members understand the importance of thinking out loud and reasoning through our futuristic projections. How participants take the color forecast research and apply it to their specific product or industry is where they bring a value, which is unique to each member and their business. The sharing process and cross-industry exchange is part of what makes Color Marketing Group incomparable to other color forecasting services. 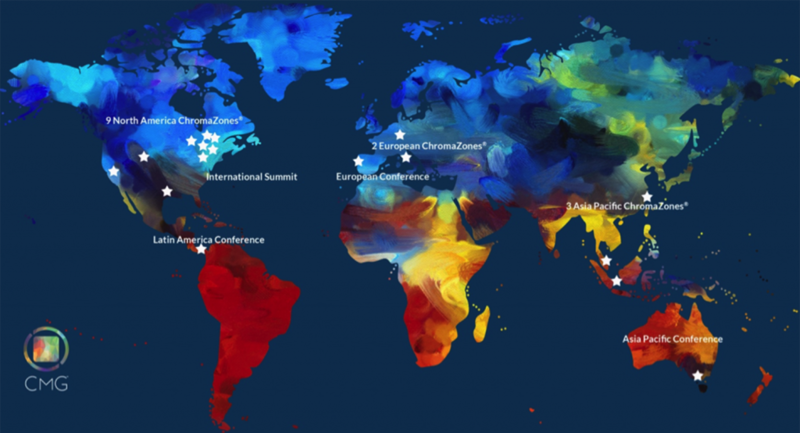 The 64 color World Color Forecast™ is exclusive to the membership and Summit participants. Selected colors are shared to the public through our CMG Color Alert® program. These forecast color story snapshots validate the accuracy of our member-generated World Color Forecast™ at market. As the saying goes, our work is never done; the observing, researching, and measuring process doesn’t end with the workshops, steering, or the Summit. We continually notice and analyze trends (micro and macro) and emerging colors around us. Color is never an after-thought to our CMG members; it is in the driver’s seat. Color’s importance to the market is not to be underestimated. The power of color is never clearer than when planning and choosing colors for your market. Peggy Van Allen, the founder of Colorfuel, is a color marketing and design professional with a background in graphic design and experience in trend research, visual merchandising and palette development. Her unique skill set allows her to visually communicate the complexities of color in a way that is both inspirational and educational. Peggy has been a member of the Color Marketing Group for over 20 years and is currently serving as VP Color Forecasting on the Executive Committee. CMG would like to thank our partners, Dorn Color and NCS Colour, for the World Color Forecast color cards and fandecks.